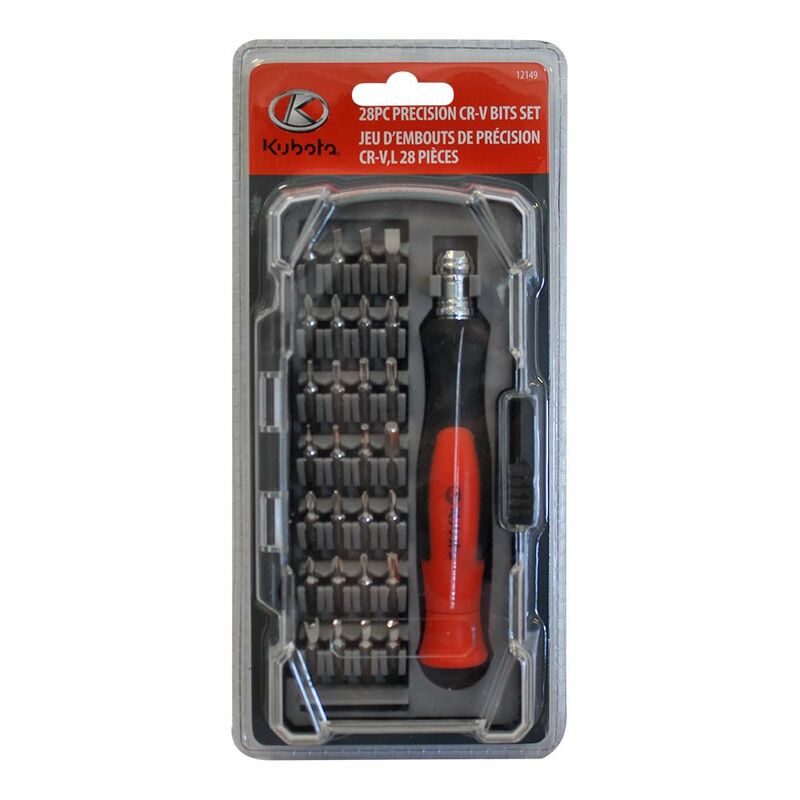 This Kubota 28pc Precision Screwdriver and Bit Set is made to get the job done. Designed with a grip handle and constructed of heavy duty metal. Includes: 28 CR-V bits. A standard in the industry, these durable screwdrivers are ready to tackle all of your fastening needs. Designed for long life, their tough high-carbon steel blades, ergonomic Golden Grip handles and rust-resistant shanks are guaranteed to work for you. 28 pc Precision Screwdriver and Bit Set This Kubota 28pc Precision Screwdriver and Bit Set is made to get the job done. Designed with a grip handle and constructed of heavy duty metal. Includes: 28 CR-V bits.